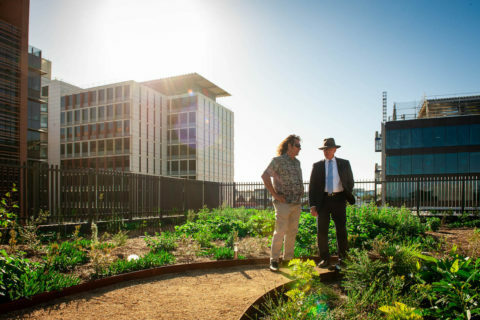 A new Indigenous-designed urban food production farm in Sydney’s inner city Redfern – believed to be the first of its kind in Australia – is a prototype that its creators hope will be replicated by other people, especially other Indigenous communities. Is it sound or noise? The answer sometimes depends on your perceptions but noise is now widely regarded as a health issue, not merely an annoyance. 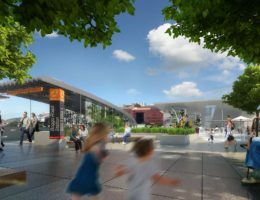 Here’s a solution to the controversial decision to move the Powerhouse Museum to Parramatta that means Sydneysiders can have their cake and eat it too. 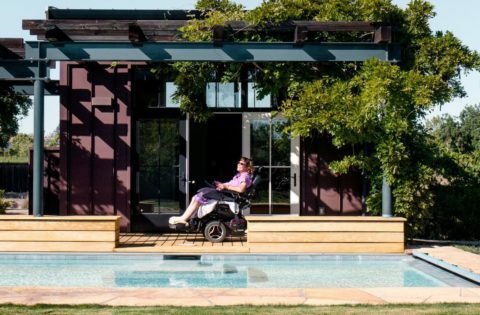 When Peter Dutton grabbed headlines last week claiming his Labor opponent in Dickson, Ali France, was using her disability as an excuse for not moving house ahead of the election, it showed a clear lack of awareness about the situation facing people who need accessible housing. Michael Mobbs offers a novel solution to climate change – keeping water where it falls. Sustainable investing assets in the five major global markets were $42.77 trillion at the start of 2018, a 34 per cent increase on two years ago – and Australia and New Zealand are the top rated market. To keep up with the groundswell of interest in its work to advocate for a regenerative built environment, the Living Future Institute of Australia has appointed its first chief executive officer. Newly appointed chair of the Housing and Urban Research Institute Adrian Harrington hopes to research in front of a broader audience, including more of the private sector. 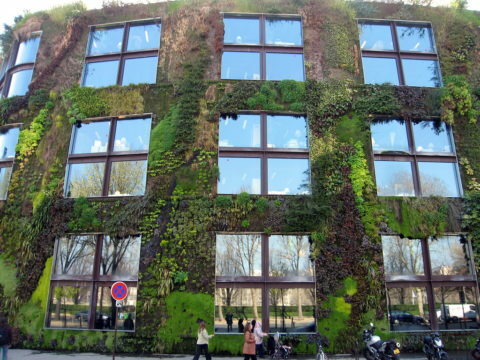 Technology companies are now some of the biggest and most influential on the planet so it’s good news that more of them are going big on sustainability, with Microsoft the latest to ramp up its green commitments. Growing uptake of residential air conditioning is set to exacerbate the warming on the planet, according to research led by the Rocky Mountain Institute. The federal election has been called for 18 May, so strap in for another wild ride at the fun-fair roller coaster that passes for our governance these days. Think of it like a festival at the Colosseum. Or “Reality TV goes to the Polls”. 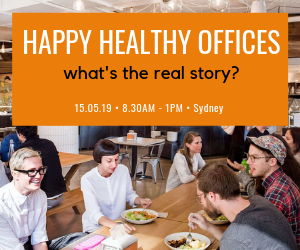 New TFE event: Happy Healthy Offices Sydney – what’s the real story? Sydney based developer Romeciti is focusing on community benefits for its residents that include music scholarships and adding assets such as a winery and nurseries for lifestyle options in order to enhance the appeal of its apartments. 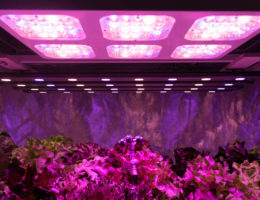 Melbourne-based tech company Vivid Technology is spreading its wings into the growing horticulture lighting industry now that it’s proved itself as a provider of intelligent LED lighting systems for companies such as Coca Cola and Interface. Prop tech company Equiem has nabbed AMP Capital’s Jon Lesquereux as the firm’s new regional head for the Asia Pacific. Waverley Council is seeking a sustainability and resilience manager to lead the development, delivery and continual improvement of innovative environmental sustainability and resilience programs for Council and the community. Irwinconsult currently has a position available for a talented ESD Consultant to be an integral part of our dynamic and passionate ESD team. Waverley Council is looking for a sustainable precincts coordinator to lead the development, delivery and measurement of programs that contribute to Council’s community targets in relation to greenhouse gas emissions, mains water use and waste recycling. 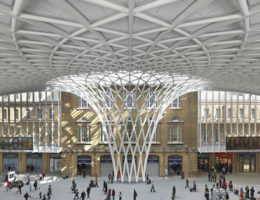 The Better Cities Senior Consultant will apply technical and project management skills and analytical frameworks to support the Better Cities team to provide advice of tangible value in the context of the built environment. The Group Manager role is one of the most vital roles within Northrop. 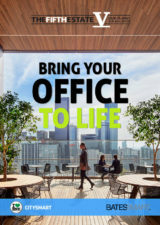 Due to growth within the Sustainability Division in Melbourne this person will partner with the Section Manager as we enter the next phase of our evolution. There’s been a few noteworthy personnel changes that have happened recently, including a new chief executive officer for Knight Frank. 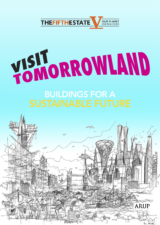 This is an exciting opportunity to join the Office of the Victorian Government Architect (OVGA) and foster innovation in Victoria’s housing to be better designed, affordable and sustainable. Movements in sustainability engineering continue with Integral managing director Andrew Mather snapping up Rich Palmer from his old firm of WSP where Palmer was director sustainability and Mather previously was chief executive and MD Asia Pacific. The Department of Planning & Environment is the lead NSW Government agency in planning for a growing NSW. The Department is going through an exciting period of organisational and operational change. After a golden period of spectacular growth the softening residential market is starting to have an impact on sentiment over the rest of the property industry and putting the brakes on the pay rises we saw last year. Peter Steele is moving on to join global energy-tech company Greensync after co-founding boutique sustainability consultancy HIP V. HYPE with Liam Wallis in 2015. Engineering consulting services firm Umow Lai has a new managing director, Andrew Oxley. 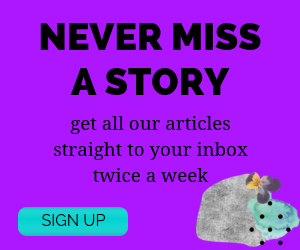 The energy policy chaos claimed another victim last week, with SolarReserve’s solar thermal power station in Port Augusta set to be scrapped after failing to achieve financing. Innovations in AI, IoT and cybersecurity to make electricity systems and industrial processes more efficient, flexible, clean and secure dominated Bloomberg New Energy Finance’s summit in New York. It’s now far easier to install sustainability features such as solar panels on the roofs of apartment blocks in Western Australia thanks to recent changes to the state’s strata laws. 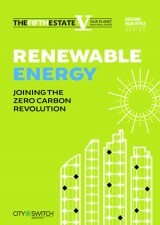 SOLAR ENERGY REBATES REPORT: Politicians are latching on to the vote-winning potential of incentives for solar energy. So what’s on offer now in NSW and federally, and what’s the state of play in the solar market? We talk to Adelaide based solar expert and founder of SolarQuotes, Finn Peacock. In what could be a world first, the CRC for Low Carbon Living has brought together energy and infrastructure providers, a land developer and other smaller players to provide true peer-to-peer energy trading across the grid. A new online portal has been launched for organisations looking to buy large-scale off-site wind, solar electricity and battery storage. Brisbane-based clean energy company Planet Ark Power has just taken out an international award at the Startup Energy Transition Awards 2019 in Berlin for its grid-transforming solution. Treasurer Josh Frydenberg’s first budget, handed down on Tuesday, left the property industry purring but hasn’t boded well with environmental and social sustainability advocates. 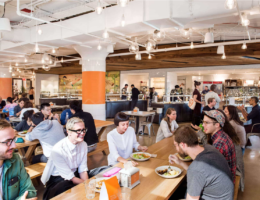 Just how sustainable is WeWork, the company that wants to disrupt work real estate and more? 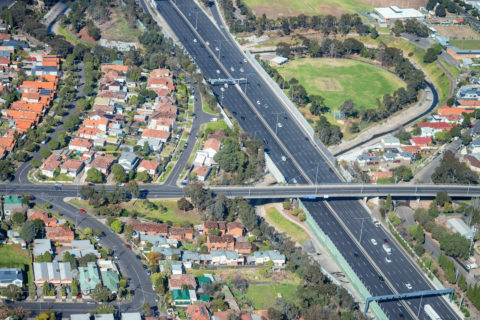 In Tuesday’s federal budget, the Coalition government announced its Commuter Car Park Fund, a A$500 million, ten-year package intended to make it easier for people in the suburbs and regions to drive to their local railway station. There’s a huge challenge upon us to decarbonise what is projected to be a $6 trillion value of installed equipment by 2050 – up from the present $1.5 trillion – in refrigeration and cooling. The infrastructure boom is creating serious skills shortages and this is challenging one company to find new ways of prepping Australia’s future work force. PVC manufacturing: How toxic really is it and what can be done? PFAS update & do we need a federal EPA? 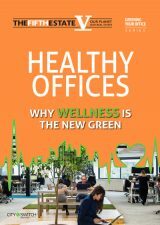 Prefab and light weight timber construction is an alternative we need to grow. Some books defy easy description or the usual glib reviewer phrases, and Problems and Where to Find them is just such a book. Here’s our list of (mostly) relaxing yet educational books to pack into your suitcase this Christmas break. Happy reading. 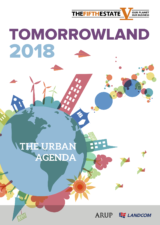 The Fifth Estate is immensely proud to bring you our latest ebook, Tomorrowland: the urban agenda, based on our Tomorrowland 2018 signature event. 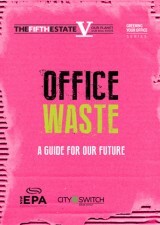 BOOK REVIEW: Regular readers of The Fifth Estate who have been following our coverage of housing issues – around affordability, sustainability, homelessness and urban planning are going to love this book. Climate change is not a binary issue of believe or don’t believe, whether it is examined from the perspective of the economic system, disruptions in the marine environment, or the impact on trees. Diving into The Long Goodbye, a Quarterly Essay by Anna Krien, means buckling up for a deeply personal, highly analytical and multi-layered tapestry of nature, politics and personalities.